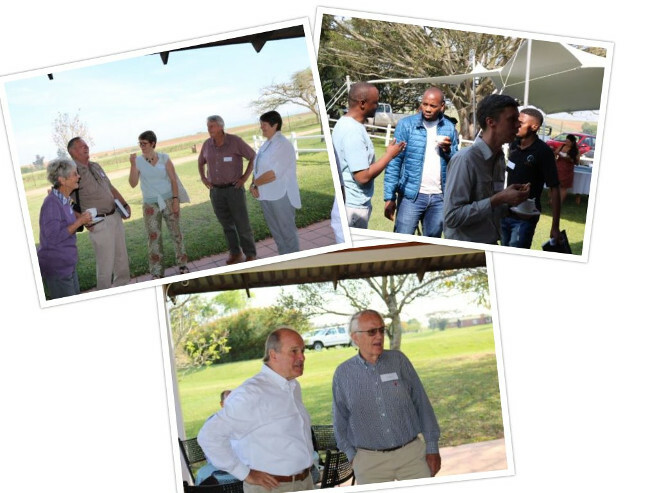 The Fountainhill Estate (FHE) near Wartburg in KwaZulu-Natal recently hosted its third annual research symposium., The symposium provided a platform for the presentation of research and topics of interest relating to conservation, the environment and agriculture in the uMngeni Catchment. The theme of the two-day event was the interactive relationships between biodiversity and the ecosystem. FHE provides research sites and facilities to UKZN postgraduate students. At the symposium, 13 UKZN students and staff members delivered presentations on research undertaken at FHE in fields ranging from hydrology and crop science to zoology, geography and aquatic ecosystems. Research undertaken includes investigations into microclimates in the uMngeni, catchment management and layout, drought management, water quality trends, soil erosion, ecological infrastructure, DNA barcoding of frogs, freshwater eels, a FISHTRAC project and more. FHE Manager, Mr Ed Gevers, explained that FHE operates according to a conservation utilisation plan drafted by the trustees and advisors that forms the blueprint of its approach to research, conservation and the role FHE endeavours to play in the community. The keynote speaker was Dr John Hanks, founding Director of the Institute of Natural Resources (INR), former director of the Africa Programme for the World Wildlife Fund (WWF) International and Chief Executive for WWF South Africa, and first Executive Director of the Peace Parks Foundation. Hanks spoke about several priorities for conserving biodiversity within fragmented habitats. He encouraged landscape scale planning, sustainable wildlife trade, lobbying and advocacy, and environmental education. ‘Every single person in this room has a duty to get involved in creating awareness, lobbying government and other agencies to take a more active role,’ said Hanks. Presenters included citizen scientists Ms Sally Johnson, Mr David Johnson and Mr Kevin Cockburn, who spoke about the area’s indigenous trees and butterfly species respectively. Other speakers came from the South African Sugarcane Research Institute, the KwaZulu-Natal Department of Agriculture and Rural Development, FreeMe KZN Wildlife Rehabilitation Centre, Umgeni Water, the INR, Rhodes University, SRK Consulting and the African Raptor Centre. This demonstrated the breadth and range of organisations FHE works with efforts to build understanding and knowledge to ensure a sustainable future for ecosystems in the uMngeni catchment. ‘Us as scientists should not just be observers of the world around us, but be leaders in helping to create the kind of world we want to see,’ said Mr Duncan Hay, Executive Director of the INR, who facilitated the event. Mr Konrad Taeuber of the Taeuber Management Trust (TMT) that oversees the estate presented on the history of FHE as a philanthropic initiative focused on commerce and agriculture, and health and the environment.